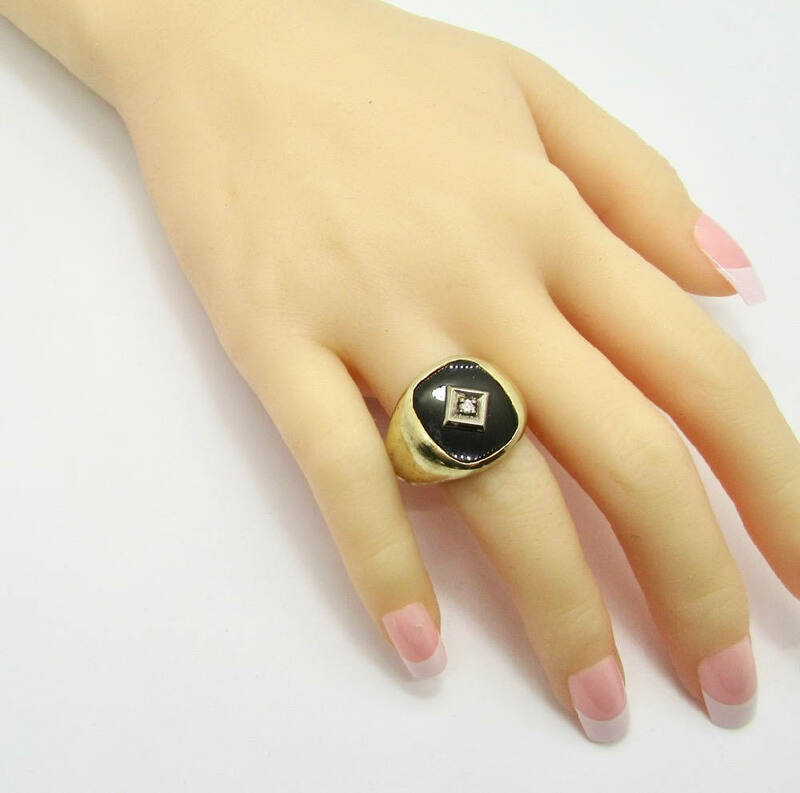 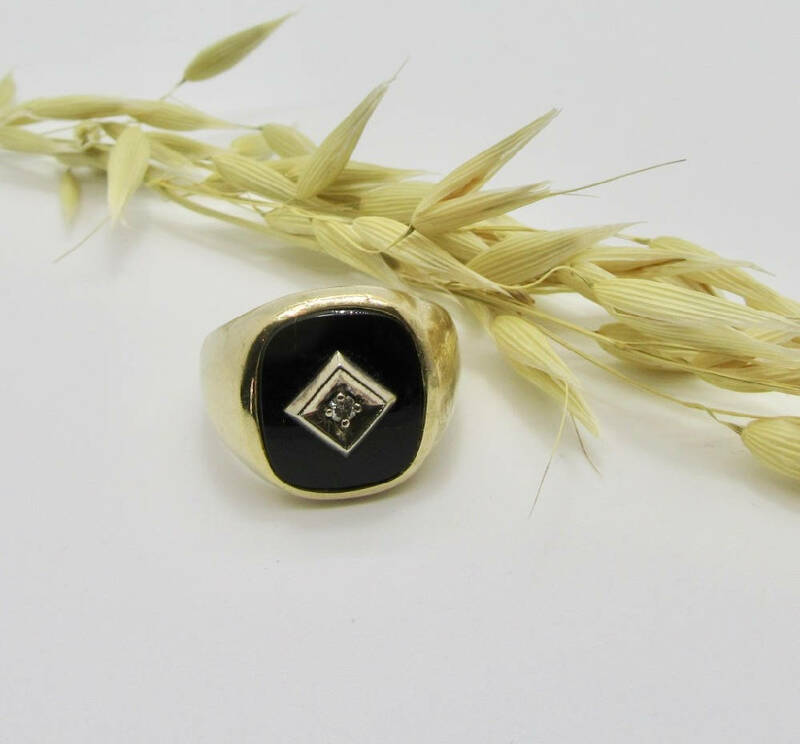 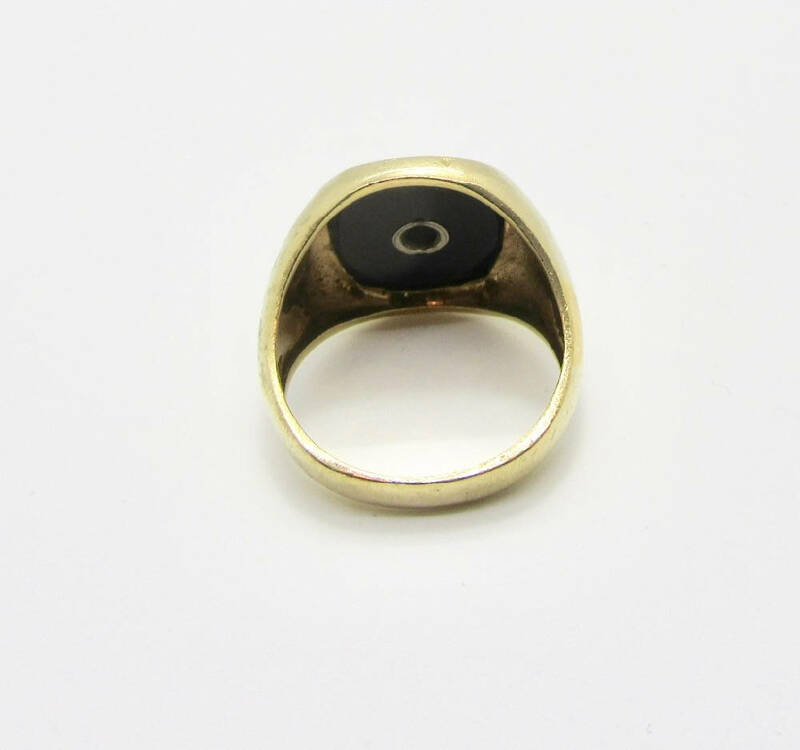 14 karat yellow gold vintage black onyx and diamond ring. 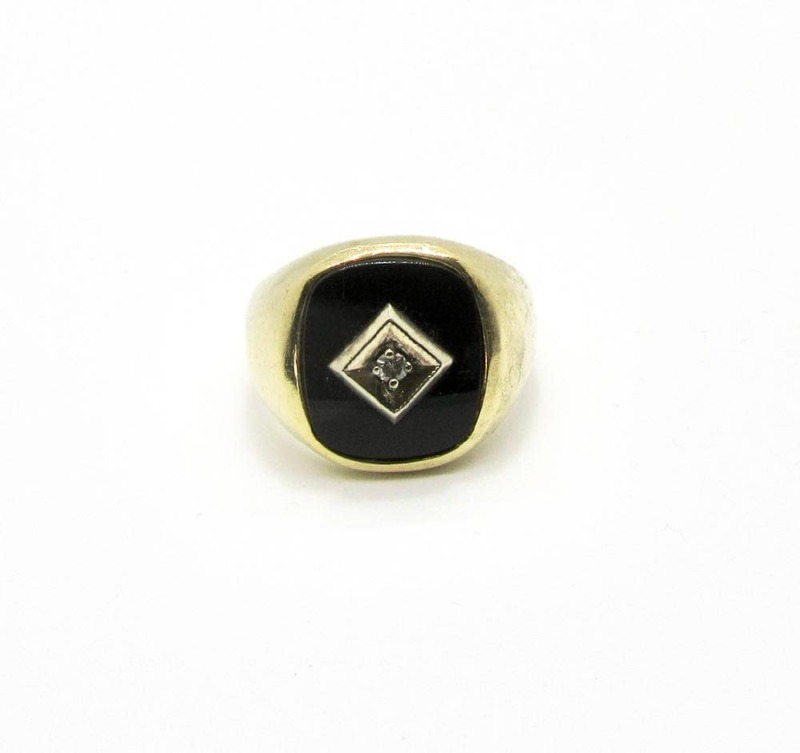 Bezel set is one cushion shaped black onyx measuring approximately 16.00mm x 14.60mm and is accented with a white gold diamond shaped design. 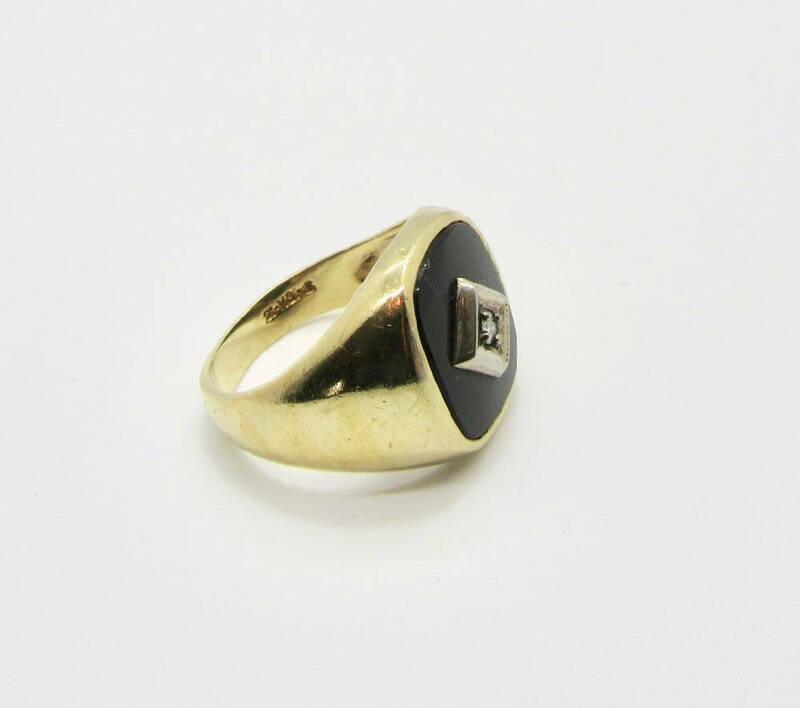 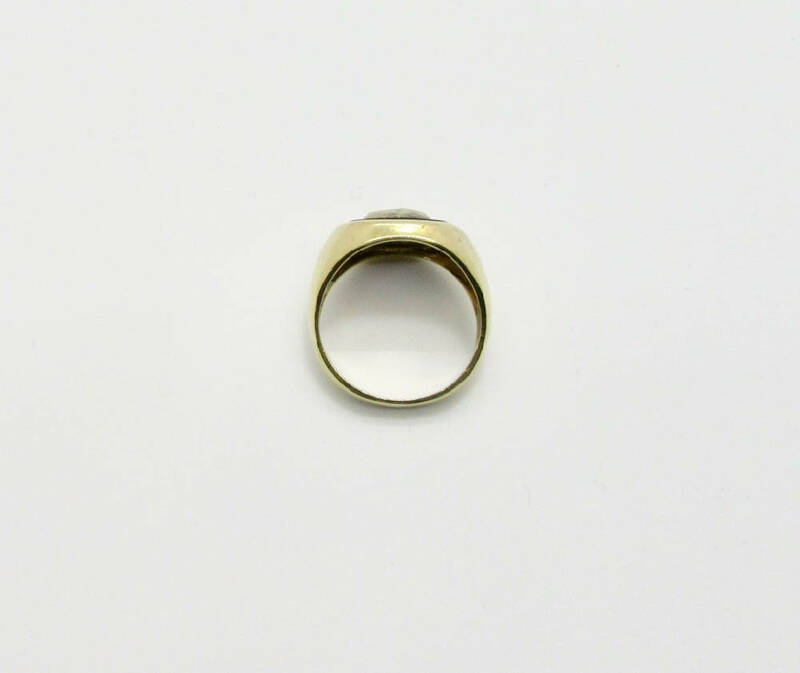 Set in that diamond shape design is one round full cut diamond weighing approximately 0.01 carats.